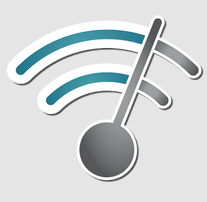 Another useful utility app, WiFi analyzer is a great little app that helps you decide which channel is best for your WiFi. This app comes in handy when you live in apartment, or when you discover that all of the routers in your workplace are set to the same channel. Every tech nerd (or person who might be responsive for wireless networks) should have this app.